If you’re a blogger who promotes your site on Pinterest, you probably know that Pinterest loves to change their guidelines. A lot. 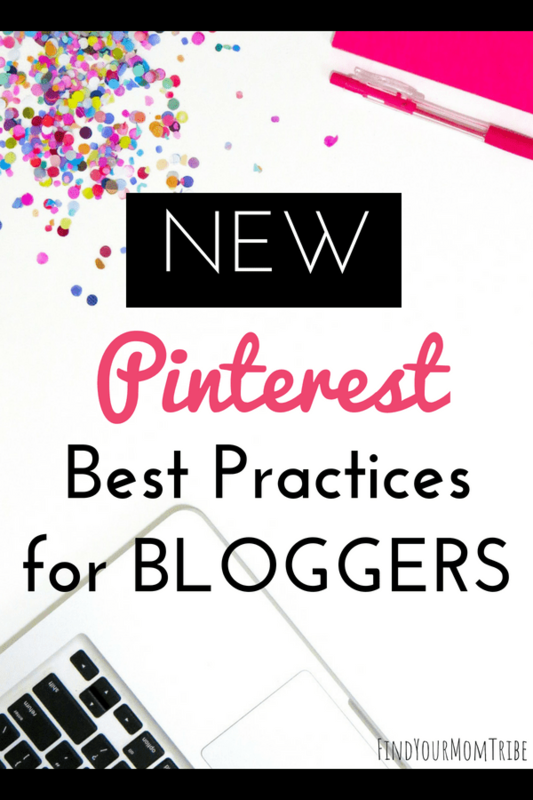 Pinterest best practices can be one way on Monday and totally different on Tuesday. They change like the weather! Now, I gotta admit. Pinterest is basically my BFF. I mean, Pinterest helped get me well over 10,000 page views in only my third month blogging! But the fun (and maddening) thing about Pinterest marketing is that it is constantly evolving. So when I heard that Pinterest was hosting a free webinar called New Creative Best Practices on Pinterest, I was all over that! The webinar was hosted by Raashi Rosenberger, Pinterest Creative Strategy Team Lead. 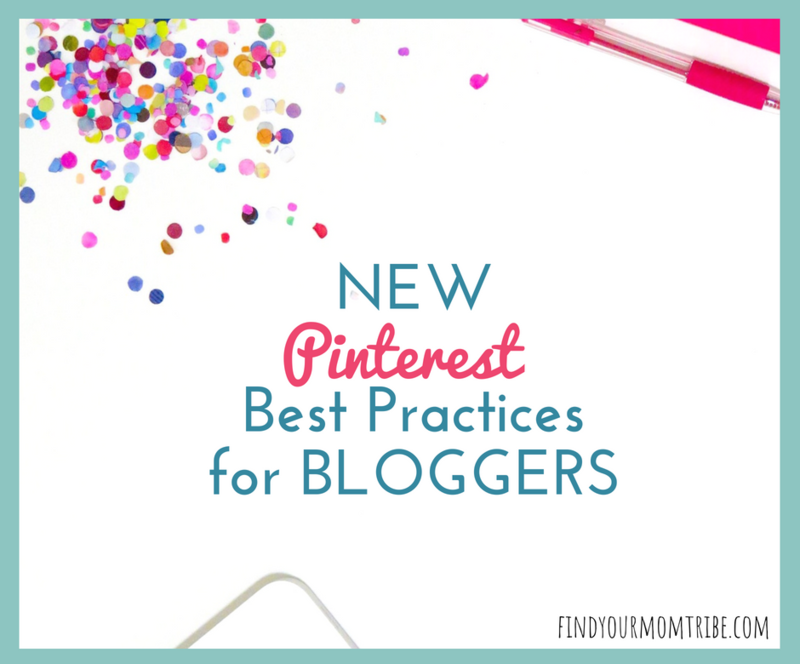 Here are five things I learned about the new Pinterest Best Practices. First, let me say that the webinar was primarily geared towards business owners who sell a physical product. However, some of the key points in this Pinterest webinar were definitely applicable to bloggers too. I always tell my students inside the Pinning for Traffic Accelerated Workshop to be sure to create content that will give readers information and ideas. Pinterest Best Practices Takeaway 2: You gotta make your pin images un-stoppable. 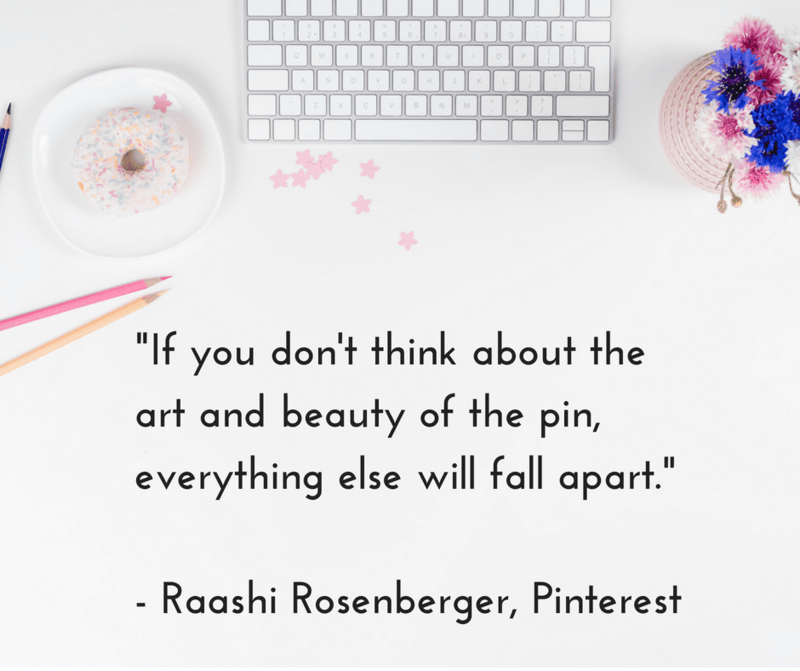 Rosenberger said that creating pins for Pinterest is part art and part science. Pinterest wants your pins to be beautiful…AND effective. Pro tip: If you’re struggling with pin image design, I’ve got your back! In the Pinning for Traffic Accelerated Workshop, we spend a whole day on creating gorgeous pin images. Pinterest Best Practices Takeaway 3: Tips for Creating a Great Pin. Pinterest did a research study that analyzed over 20k pins and how they performed. They found these common elements make a click-worthy pin. Bonus tip: Make sure your text overlay is large enough to read if they’re using a mobile device. Pinterest Best Practices Takeaway 4: Building brand awareness on Pinterest. Again, this is primarily targeted towards businesses with physical products, but I think you can use some of these ideas for your blog. Pins that had the word “new” in the text overlay drove 10x higher aided brand awareness. Pinterest Best Practices Takeaway 5: How to grow your email list with Pinterest. Again, lifestyle images are king on Pinterest. Rosenberger said that pins featuring a person wearing or using the product drove 35% higher email conversions. So if you’re a blogger who is using a free printable opt-in to grow your list, you might want to experiment with taking a photo of someone actually using the printable to see if that gets you more traffic and email sign-ups. Alright, friends, that’s it! Were you surprised by any of these recommendations from Pinterest? What are you excited to try?! Don’t forget to save this post for later! 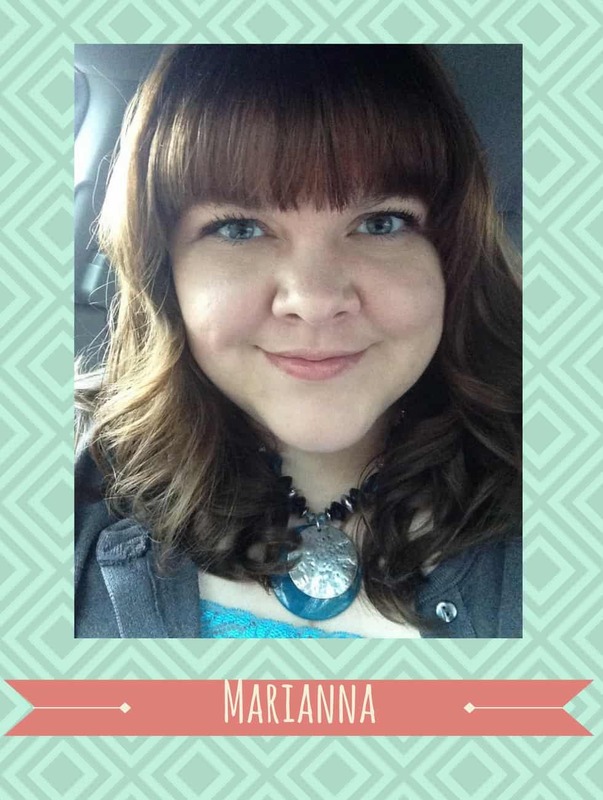 I’ll be updating this post when changes are made! 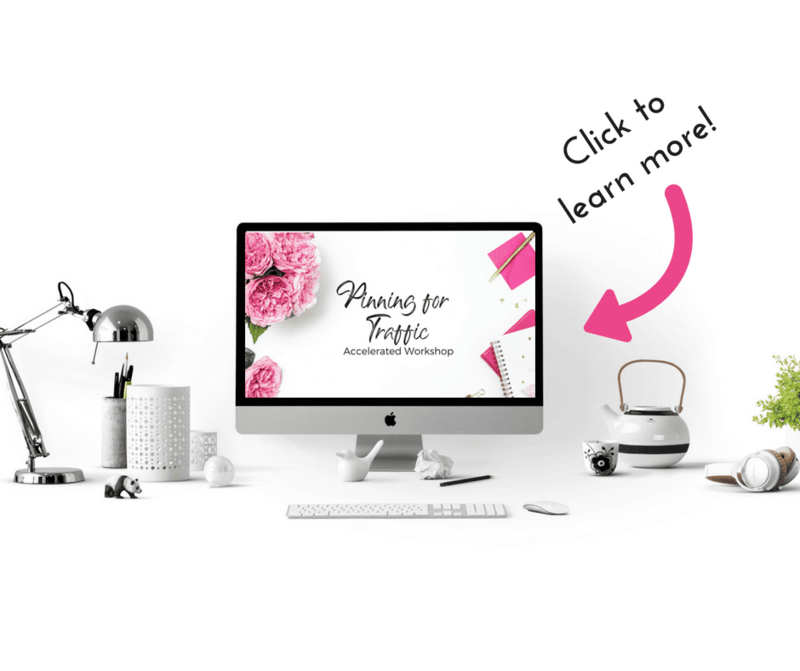 PS – Tired of spinning your wheels with Pinterest? Don’t forget to check out the Pinning for Traffic Accelerated Workshop!